Labor Day might have passed us by, but there's still plenty of summer produce at the markets. We've been taking advantage of all of the wonderful squash varieties available. 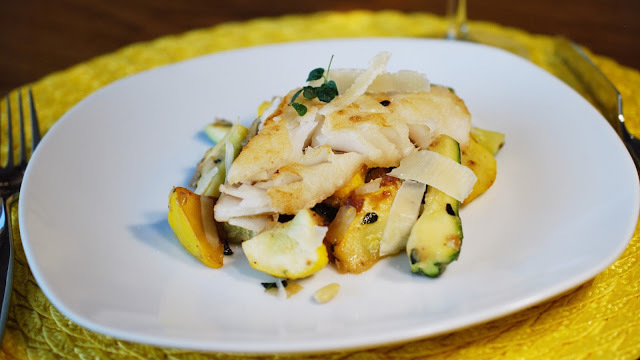 This week's 8 & 20 now up at WineSpectator.com pairs these lovely squash with cod for a light, elegant dish. 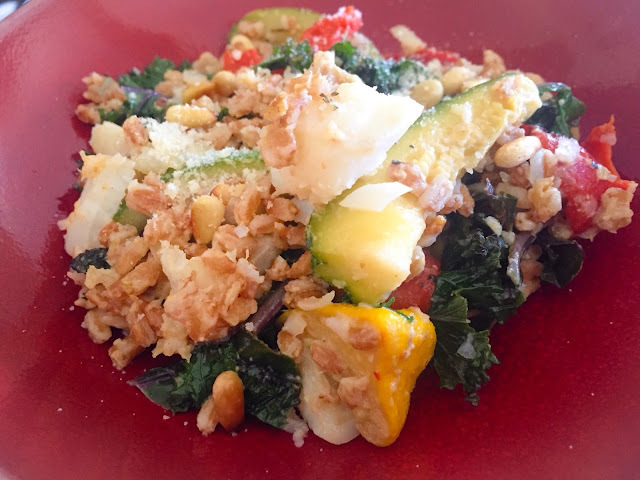 If there's any remaining, give them an easy leftover makeover with this non-recipe: Prepare the grain of your choice according to package instructions or warm up a cup that's been previously prepped–I've used farro here. Cut up the leftover squash and flake fish and add to the warming grains. Feel free to add in any other leftover vegetables you have around as well. Wilt in a few handfuls of greens like spinach or kale, season with salt and pepper, and voilà, you have an easy grain bowl.